With this hottest Samsung NX1 released in 2014, most cameramen just can't wait to have a try. The stunning camera has a 28 MP APS-C sized sensor, a weather sealed magnesium body, one sensor phase detection autofocus for ultra fast AF, OLED rear LCD and EVF, 15 FPS shooting speed with a 70 frame buffer, 4K video in-camera using the newest ultra-efficient H.265/HEVC codec ,etc. Some users may not very familiar with this new codec, here is a detailed introduction of this H.265/HEVC codec and some free H.265/HEVC players. You must have been noticed that H.265/HEVC has been applied in this brand new camera, which may lead us into a new 4K Era. But some users have already encountered many problems: Are there any NLEs can handle this H.265/HEVC codec? Any media player can playback this video smoothly?Hwo to convert Samsung NX1 H.265 videos into H.264 MP4 video? 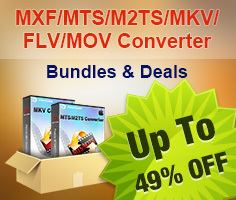 How to Converter Samsung NX1 H.265/HEVC Videos to H.264 MP4 or H.265? Even with some free H.265/HEVC players, you can only review your files, but according to the reviews of the users, it crashed a lot and the quality of playback doesn't very well. After installation , just click "File">"Add Video/Audio" to load your Samsung NX1 H.265/HEVC video files. 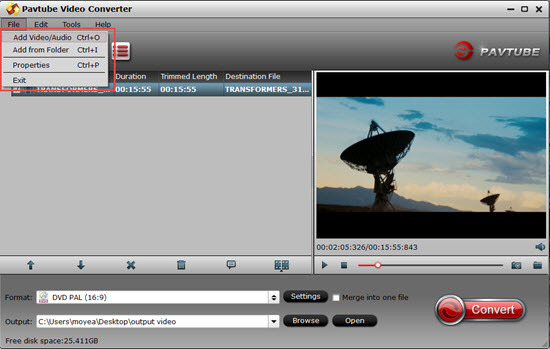 Step 2: Go to the format bar to choose H.264 HD Video as your output format. Click the format bar, then select "HD Video">"H.264 HD Video(*.mp4)". 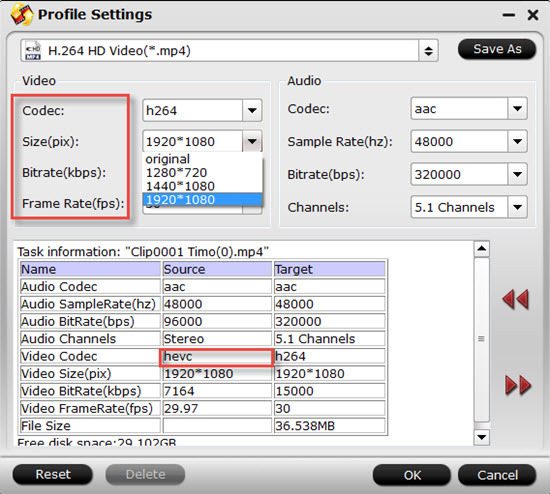 All the output format encode under H.264 in "HD Video" will output as H.264 high profile. This will reduce the quality drop of your raw H.265/HEVC to the least. Then you can go to the "Settings" UI to do some personal parameters adjust. If there is no proper parameters in the drop-down menu , you can type it into the box manually. For example, 4K resolution (4096x2160). After all have been settled , back to the main UI and click this "Convert" button to start your conversion. After the conversion, just click this "Open output folder" to check your converted files. If you want to encode your files like H.264, MP4, MOV, AVI, MKV, FLV, etc, into H.265/HEVC (*.mp4), please check this article for detailed info. No matter you want to trans-code your videos into H.265/HEVC or H.264, this all-in-one converter can help you do the job. You can review your video directly by loading your files or convert them into a friendly format for further editing or something else.